With 9.46 million Australians now shopping online, it has never been easier to make purchases from your favourite retailers and have items delivered straight to your door. 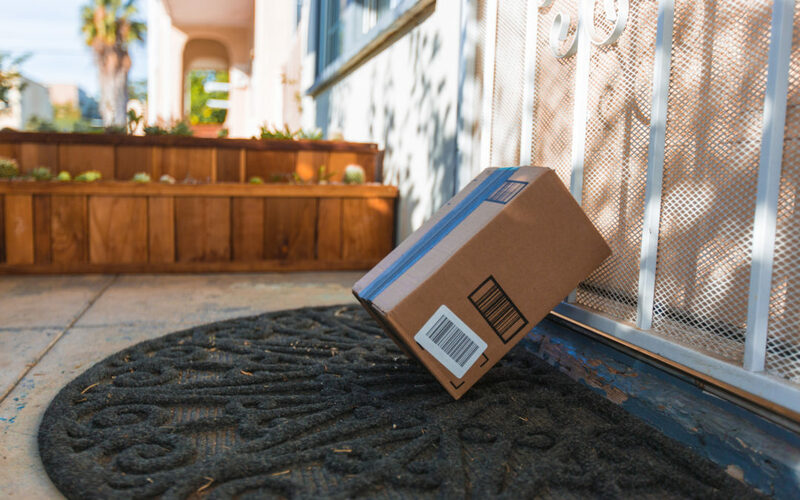 Yet while shopping up a storm during the Boxing Day sales can be as easy as scrolling through your Instagram feed and clicking the ‘shop now’ button, Australia has seen a sharp rise in the number of stolen parcels from ‘porch pirates’, as evidenced in this news article. It states that in Victoria alone, 141 people were charged with mail theft offences in 2018, which was more than double the case of 2017 and the highest year to date. Have your parcel delivered to one of Australia Post’s FREE parcel lockers. To find one that suits you, simply sign up for a MyPost account and update your preferences. There are over 330 locations to choose from and you’ll receive an SMS notification and email once your parcel is ready for collection; you’ll then have 48 hours to retrieve it. If possible, consider having packages delivered to the office or to the address of a friend who works from home. When choosing the delivery option, select one that requires a signature upon receipt. Many ecommerce sites now ask you to fill in where you would like the parcel left if you’re not home to receive it. So, make sure you provide some instructions for the delivery driver, describing a spot that’s easy for them to find but where the parcel won’t be visible to passers-by. Consider installing an ADT Interactive camera outside the front door. By integrating cameras with ADT’s Interactive Security system, customers can log in to the ADT Security app and check whether the package has arrived. You can tell the system to alert you if the camera detects motion, that way you know when someone is at your front door. In the unfortunate event that you suspect your parcel has been stolen, there are several actions you can take. Try contacting the vendor as they may offer you a refund, or speak to the shipping company to verify the delivery details. Also check with your credit card provider as they may offer insurance protection against stolen goods. Whether you have treated yourself to a bargain in the January sales, or you’re expecting a parcel from a loved one, it’s always exciting to receive a delivery. Don’t let porch pirates get to it before you do. Just take extra care when deciding where, when and how it will be delivered, and secure your front door with a security camera; even just the sight of a camera can be enough to make some pirates abandon ship.